Listen to Meek Mill's new tribute "Miss My Dawgs" featuring Travis Scott and Strap. Earlier this morning, tragic news surfaced that hip-hop lost another member of its community when Coke Boyz artist Chinx, a.k.a Chinx Drugz, was gunned down in his Porsche around 4 A.M. in Queens, New York. As the news circulated, so did the mourning from his fellow peers and rappers, who took to social media to pay their respects and condolences. 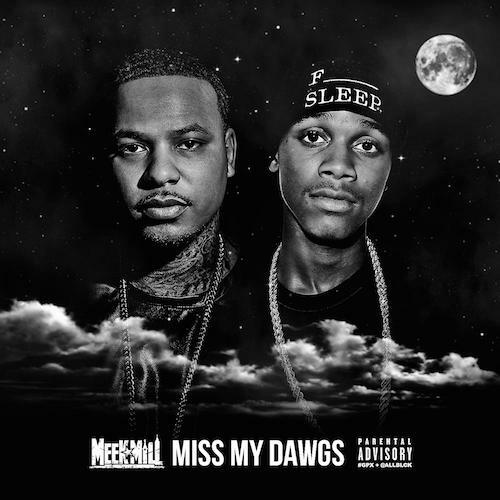 Meek Mill, who’s gone through a similar situation with the passing of his own artist Lil Snupe, wasted little time in voicing his frustration with the streets and decided to release a tribute track for the fallen titled “Miss My Dawgs” featuring TraviS Scott and Strap. With Travis on the hook, listen to Meek and Strap voice their hardships about missing their dawgs. A very appropriate and touching tribute nonetheless.